Barbara Walters feared hiring Gayle King as a moderator for "The View" in 2007 because she worried King's good friend Oprah Winfrey would somehow "hijack" the show, according to an excerpt from the new book "Ladies Who Punch: The Explosive Inside Story of 'The View,'" by Variety's New York bureau chief Ramin Setoodeh. Details: The excerpts say that in 2007, O'Donnell was departing "The View" after a tumultuous year as the moderator, leaving the show's ringleader Barbara Walters with a spot to fill. The two frontrunners were, according to the book, Whoopi Goldberg and "CBS This Morning" co-host Gayle King. The book says that producers at "The View" favored King because she was most like the show's original moderator, Meredith Vieira, and they thought she could easily transition between serious and silly stories. It also says that research conducted by show executives indicated that the audience preferred Goldberg, who was also more popular than Walters. The book excerpt quotes the show's former executive producer Bill Geddie as saying: "My feeling with Gayle was — how do I say this in the nicest possibly way, because I love her? ... She came from Oprah's world. Having just been through Rosie, I didn't need someone else telling me how to run the show. And I thought Gayle would be telling me how to run the show. That was my honest opinion." Why it matters: The event shows how competitive spots can be for top daytime talk shows, even for some of the best in the businesses. 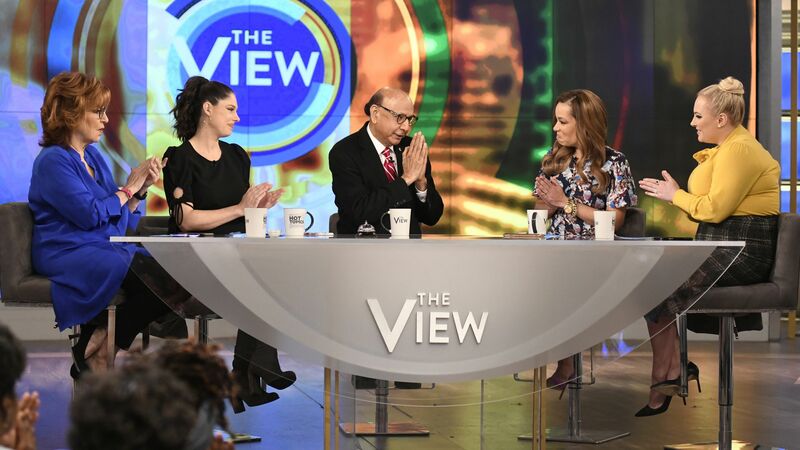 While "The View's" ratings have held steady, many daytime talk shows over the past few years have failed — even those with celebrity hosts. Anderson Cooper, Megyn Kelly, and Katie Couric have all experienced daytime talk show cancellations in the past several years. What's next: The full book will be published by St. Martin's Press on April 2.